This web site was programmed using Twitter Bootstrap. If you're impressed contact me through my web programming company, Degnan Co. I worked at IBM as an intern for one semester at college. I supported the State of Delaware territory. It was 1987 and this was my first "computer job". My internship was spent setting up product demos for IBM sales reps all over the State of Delaware I also taught classes in IBM DOS, worked with system engineers. I vividly recall how it seemed like IBM owned the computer business back then, at least in Delaware. I can still picture how IBM would send these huge 18-wheelers filled to the brim with computers, terminals, Display Writers, and cabinets for delivery to DuPont, the banks, and large factory complexes. I put 10,000 miles on my car in 6 months. I was at IBM for the launch of the AS400 (we were told to refer to it as "Project Overloard"). This was a big deal back then. I remember being instructed to put black paper over the windows of my 13th floor Wilmington, Delaware office so that the competition would not be able to photograph this mysterious "Project Overloard" system. At the same time IBM also launched the PS/2 models 30, 50, and 60. The Convertible laptop was still a new thing, and OS/2 was launching. Quite a time to be there. I got to play with prototypes and weird stuff, fun. Stepping ahead to 1998 or so. I recall for some mundane reason I needed to read a 5 1/4" disk to grab a file. I looked around my office and realized ALL of that old stuff was gone. Wow, where did it all go? Barely more than 10 years had passed since my college internship and I was struck how it seemed like IBM was pretty much toast. Made me think - "wow, I wonder what other kinds of computers are completely lost to history?" It was about this same time that I went to check out the Smithsonian exhibits of vintage computing. My interest in learning more about old systems lead me to start looking around for old systems to mess with - Maybe someone was selling an old PS/2 or IBM PC? Where would I get anything like that again? I visited a few farmers markets and thrift shops. 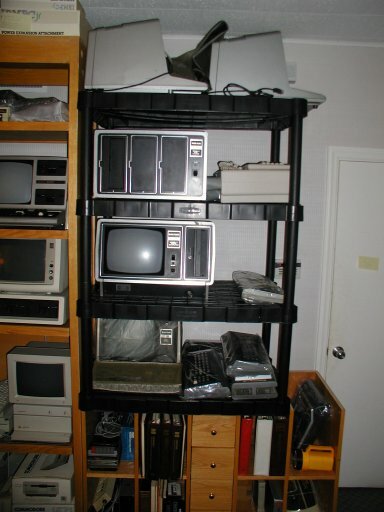 It was then that I got my first Commodore computer (a C-128), next a Tandy (Model III) , next an Altair (8800 turnkey)...Then Ebay created the "vintage computers" sub-category - Boom the number of collectors went geometric. The term "vintage computers" became the standard term for this new hobby. By the year 2000 I had an office full of obsolete systems to play with. 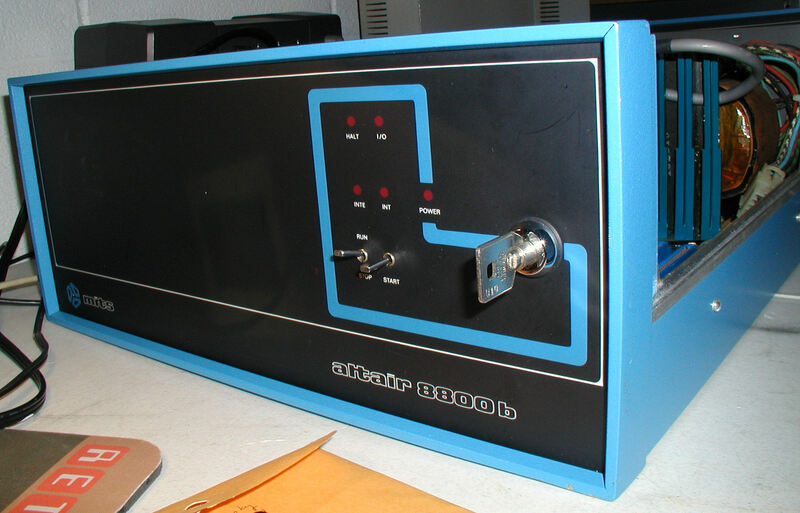 I met a lot of like-minded hobbyists and I joined Classic CMP Mailing List and the Vintage Computer Forum in the early 2000's. By 2005 the first MARCH event at the Trenton Computer Festival was held and the hobby took hold in the Mid-Atlantic USA area, where I live. Before 2005 I had been keeping notebooks full of diagrams, voltage readings, hand-written code snippets, assembly directions and so on for my own reference. After I filled three spiral notebooks of material it occurred to me that it would be vastly more efficient if I recorded all of this info on a web site instead, and that's how vintagecomputer.net was born - A way to record workbench notes. That's why I have my IC inventory on the site, and so many photographs. The site then kind of broadened into an information archive. 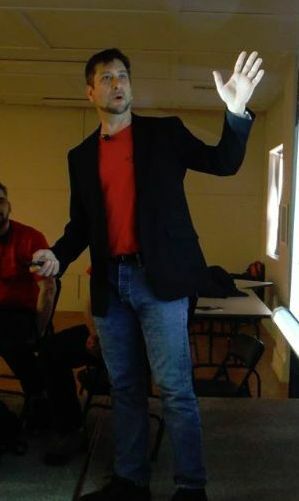 I expanded the site again when I got an adjunct job teaching computer history at the University of Delaware. It was the perfect place to host downloadable materials and reading assignments. That's the reason why there is a large collection of scans on my web site. I still add to the document archive weekly. vintagecomputer.net is a blog. If you're looking to read this site chronologically start from the page I created for the VCF East 3 (2005) page. At the bottom of the page there is a "Past Issues" list containing special pages I have made for various topics. I eventually switched to a pure blog format. 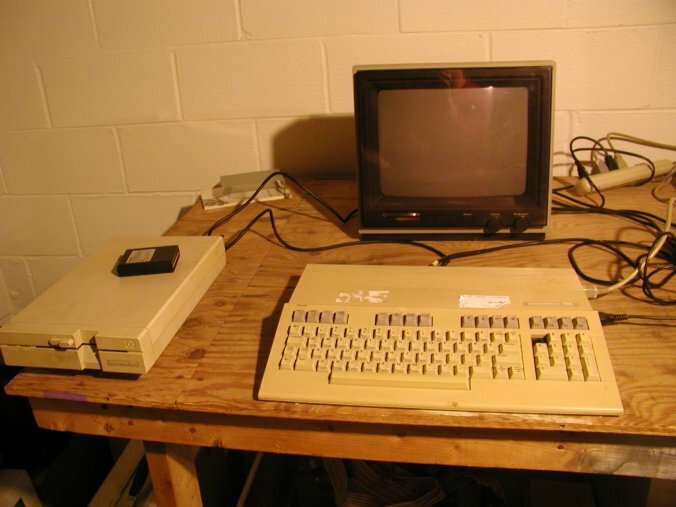 The first blog post from 2005 talks about Commodore B Series systems. You'll see the first posts consist of a conversion of my hand-written notes from 2000-2005. I get a lot of emails through my web site, and people sign in daily. I just wanted to say thank you to everyone I have met through my web site. This is a fantastic community.